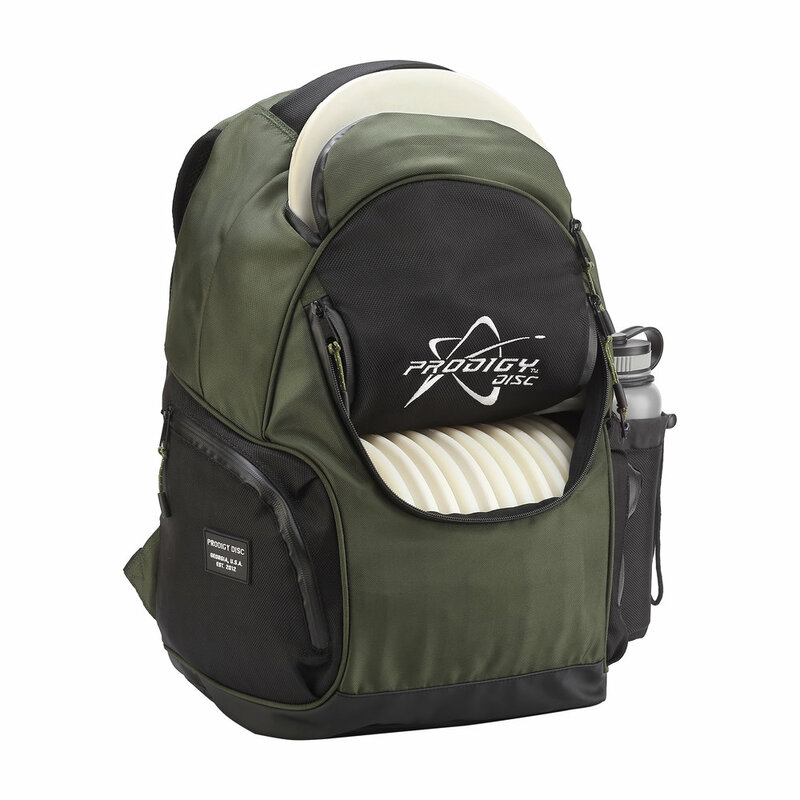 We’ve made significant upgrades while keeping the main features that have made it such a popular bag. 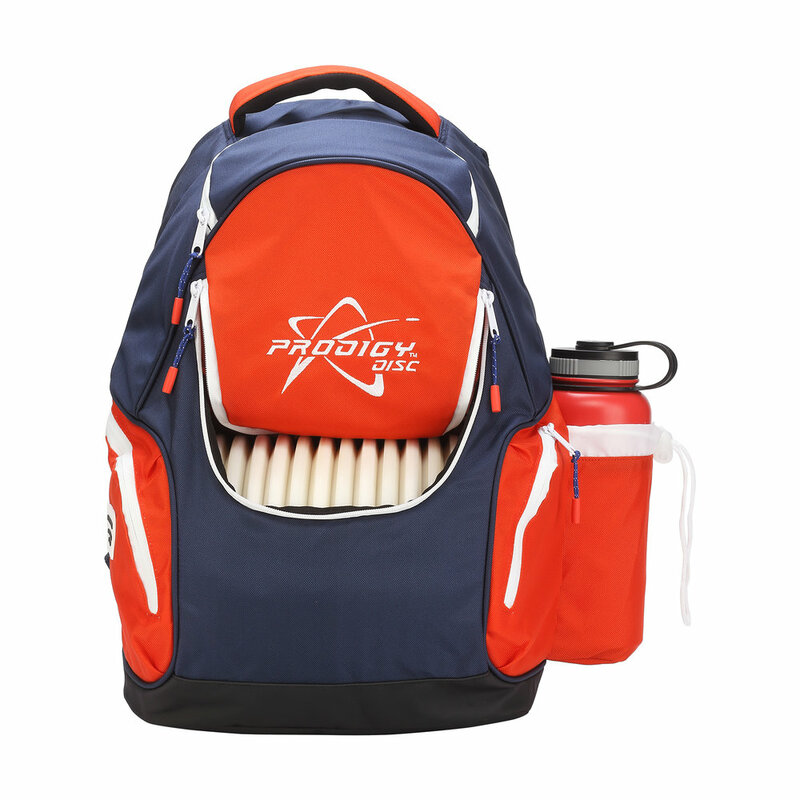 The BP-3 V2 still holds up to 17 discs in its main compartment and offers a deep putter pocket, adjustable water bottle holder, and two side zipper pockets for valuables. 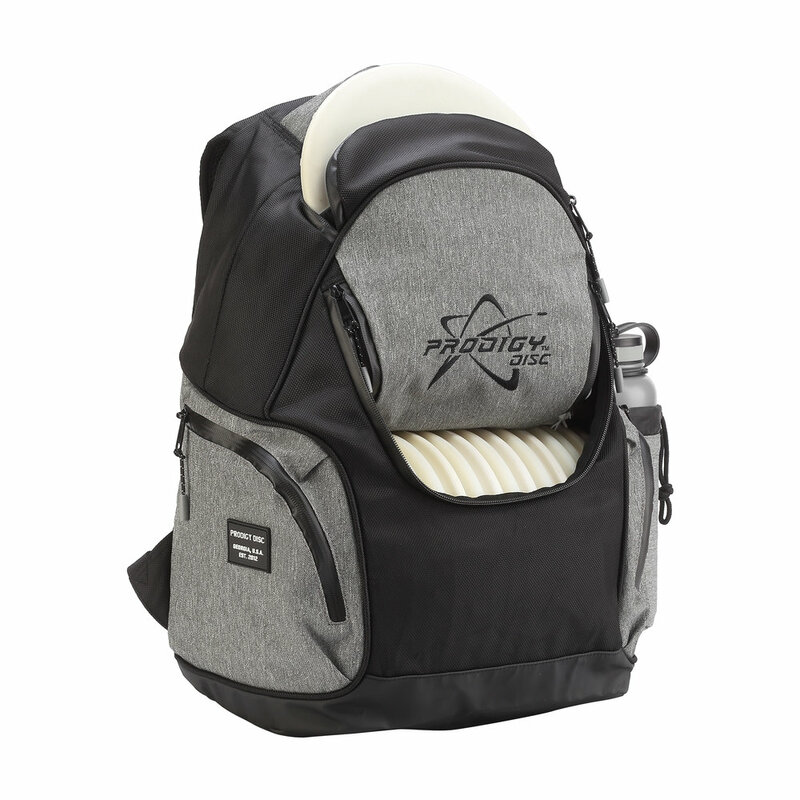 We have completely redesigned the straps, adding more padding to both the straps and the back panel for added comfort and upgraded the zippers with new pulls and taped seams so your compartments are easier to access and better protected. 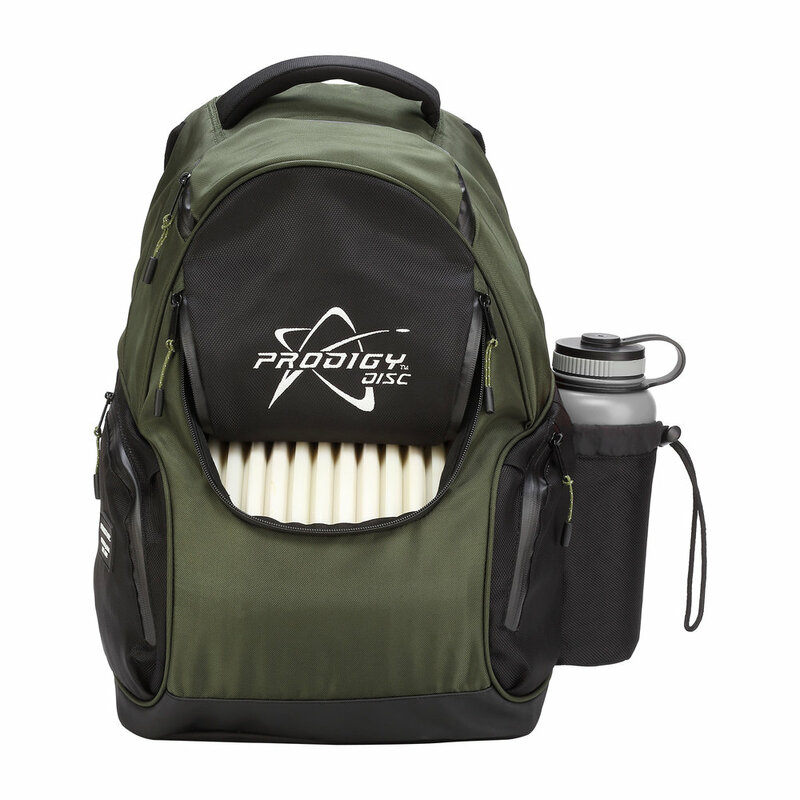 The BP-3 V2 features a more durable and waterproof bottom panel to keep the bottom of your bag protected from wet and dirty conditions. The new, two-toned color array and rubber branding patches add a colorful and sleek modern look. The BP-3 V2 remains one of the most versatile bags out there, with usability both on and off the course, now with fresh looks—and still at the best price. It is perfect for beginners or more avid, professional players looking for a smaller, more compact option. 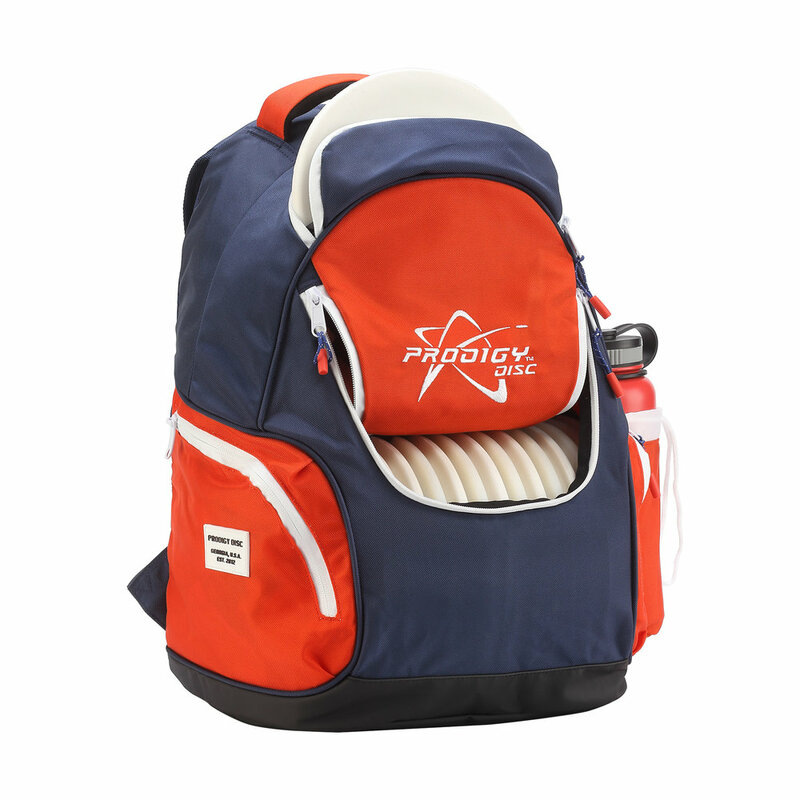 Be sure to pick one up at your favorite Prodigy retailer or at shop.prodigydisc.com.